Hire the top 3% of freelance PostgreSQL developers. Toptal is a marketplace for top PostgreSQL developers, engineers, programmers, coders, architects, and consultants. 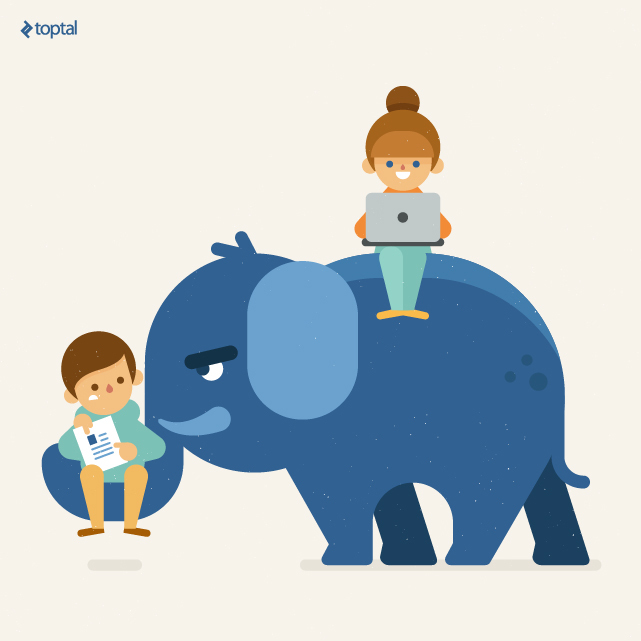 Top companies and start-ups choose Toptal PostgreSQL freelancers for their mission-critical software projects. PostgreSQL has been around for a while and its popularity has grown enormously during the last couple of years. With such a demand for PostgreSQL talent, some developers have simply added it to their résumé because they think they will get by with the basics, but they fall short when more advanced tasks are put on their plate. To help you find developers that truly understand the tool, this hiring guide takes you through the topics and questions that PostgreSQL experts should know well. Toptal is a marketplace for top PostgreSQL developers, engineers, programmers, coders, architects, and consultants. Top companies and start-ups choose Toptal freelancers for their mission-critical software projects. Vitaliy is a software engineer with 10+ years of experience in the development, design, and architecture of distributed systems. Recently, he's focused on the use of Scala and Java technologies. He's an efficient communicator and a great programmer. PostgreSQL has been one of the more popular open-source object relational database systems since its initial release nearly two decades ago, but that popularity has grown enormously during the last couple of years. We can get a sense of this by looking at db-engines.com, which calculates a “popularity score” based on factors such as number of questions on stack overflow, job offers, and number of results on the major search engines, and the like. Its graph shows a 72,35 percent increase in the popularity of PostgreSQL from January 2013 (score: 167.475) to February 2016 (score: 288.657). With such a demand for PostgreSQL talent, some developers have simply added it to their résumé because they think they will get by with the basics, but they fall short when more advanced tasks are put on their plate. To help you find developers that truly understand the tool, this hiring guide takes you through the topics and questions that PostgreSQL experts should know well. Even if a candidate is a master of SQL, it doesn’t necessarily mean that s/he is a master of PostgreSQL. Yet, if the candidate is not proficient in SQL we know for sure that s/he is not a master of PostgreSQL. A good Postgres DBA should know intimately the principles and use of standard SQL. PostgreSQL supports the majority of features required by the SQL standard ISO/IEC 9075:2011, so a big part of PostgreSQL usage relies on it. We can weed out a large portion of candidates with a high amount of confidence by starting the interview with SQL principles, concepts and usage: the different types of JOINS clauses, UNION, subqueries and the difference between HAVING and WHERE. Toptal’s list of 20 Essential SQL Interview Questions is a good place to start. When a SQL database is in order, PostgreSQL is the best database for the job most of the time. While the differences between PostgreSQL and other SQL databases, such as MySQL, might be debated, it is more valuable in the hiring process to discuss the differences between PostgreSQL and NoSQL, such as MongoDB. A strong candidate knows when Postgres is the right tool; they don’t always use/recommend Postgres because it’s the only thing s/he knows. Q: When is it appropriate to use PostgreSQL instead of a NoSQL database and how can you tell? Relational databases, such as PostgreSQL, have advantages and disadvantages compared to NoSQL databases, and understanding those weaknesses and strengths is important. Using the Brewer Theorem (also known as the CAP theorem) is handy for determining which type of database is the best one for the job. Transactionality: PostgreSQL supports transactions at the database level while NoSQL databases do not. There are some methods for implementing transactions in NoSQL, but these are done at the application level instead of in a database level, so they have a toll on performance. Aggregation functions: PostgreSQL implements SQL standard aggregation functions, as well as some of its own, with high performance. In NoSQL, there are techniques for getting decent performance, but it doesn’t come close to the performance achieved by PostgreSQL. Joins: Relational databases, such as PostgreSQL, are excellent at querying data that is stored across different tables by using the different types of joins, while NoSQL databases often need to perform multiple queries. Semistructured data: NoSQL databases have a big advantage over relational databases when it comes to handling semistructured data and horizontal scalability. While PostgreSQL has some support for this with the use of the JSONB datatype, NoSQL databases are still the superior choice. Scaling: NoSQL databases (specifically, the ones that are BASE compliant) are better at scaling write operations since they lack a number of functionalities that ACID compliant databases have, such as referential integrity enforcement. Financial applications need strict data consistency and transactionality, and the nature of the app means running multiple complex reports. In this case, PostgreSQL is the best tool. 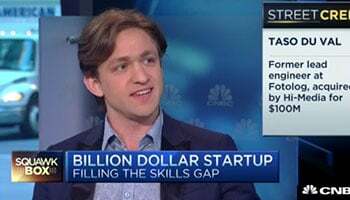 Social networks (successful ones) are expected to scale at a massive volume and their data is not well structured. Furthermore, the database needs to constantly scale the app horizontally, too, as more and more fields are added in tandem with new app functionalities. Here, a NoSQL database is the better option. By this point we should have weeded out the weaker talent, but we still need to find the developers that are truly Postgres masters, the ones that will help us get the most out of our database and are able to handle the inevitable, daunting tasks that come along. Q: “We need to query a knowledge base with entries for several topics (each entry has a title and a content).” How would you accomplish this using Postgres? If, for example, our query-string is a pluralized word and we have an entry with the singular form of that word, that result will not be included (not to mention words such as “do” and ”does”) since this method only looks for inclusion of the query-string in the title or content. Likewise, if we have two separate words in the query-string, no results will come up unless they are in the same order and the same form. There’s no guarantee of relevance since there is no way to rank these results by the number of occurrences in the content or numbers of exact word matches, and so on. Performance is also a problem with this approach. Since there is no index support, this query can be extremely slow even in fairly small databases. So, how can this problem be solved in a better way using some of PostgreSQL’s cool features L? Full text search. Note: depending on your PostgreSQL configuration, you may need to manually specify the dictionary to use in order to have some cool features such as “stemming”. To order the results by relevance we can use the ts_rank() function, which accepts a tsvector and a tsquery as parameters. Q: What is ‘high availability’, when should you implement it, and how do you do it? High availability refers to the capability of the database to remain operational for a higher percent of the time in comparison to non-redundant servers. This is also known as having a high service level. Hot standby servers accept connections for the sole purpose of serving read-only queries. This type of standby server is often used for load balancing. Warm standby servers do not accept any connections, they only follow the changes made to the primary server. If they are promoted to primary, they can start accepting connections and modify data. PostgreSQL has many features for facilitating high availability, but it’s not always appropriate to implement high availability. There are many instances where one would decide against high availability (or some type of it), so it is difficult to come up with a simple guideline, but the deciding factor should always be the needs of the business. Generally, implementing high availability is a detriment to performance and increases the overall complexity of the architecture, thus understanding the gains and losses of each decision is key. Scenario 1: A marketing company has a newsletter application. Requests to the application are scheduled (as are the read/write operations to the database) and do not depend on demand. A couple of hours of downtime per month is not likely to impact the business, so high availability doesn’t give much benefit for the cost. Scenario 2: A SaaS company offers a service-level agreement of 99 percent uptime with their 500 thousand users. This company is built on a high availability implementation. There are multiple strategies for implementing high availability, but here we’ll cover “transaction log shipping” on a hot standby. PostgreSQL continuously stores all transactions using write-ahead logging (also known as “WAL”). These log entries, among other things, are used for keeping the standby servers up to date by connecting to the primary server and fetching the logs. All these changes need to be made as a root user. Don’t forget to restart both servers so they can pick up the changes, and pay special attention to the network setup by ensuring that the hosts are accessible or that ports are not being blocked by a firewall, and so on. This configuration is a good starting point for exploring customizable options. If you have any issues a good place to start troubleshooting is the postgres logs of each server (located in “/var/log/postgresql/postgresql--main.log”). With the recent surge of popularity of NoSQL, some people thought that SQL databases were headed to oblivion and that PostgreSQL, not being the most used SQL database, would be one of the first ones to fall. This hasn’t been the case, and so it remains important to refine the PostgreSQL recruiting process. With the NoSQL euphoria fading away, people are realizing that NoSQL is not a silver bullet. With PostgreSQL becoming so popular, SQL databases still play an important role.